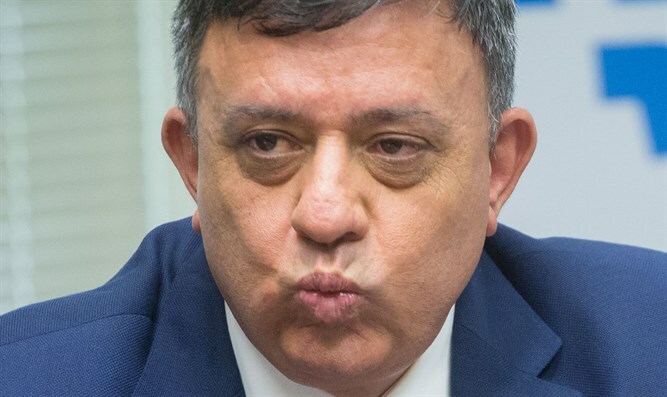 Avi Gabbay says his party will oppose any law which does not 'share the burden' of military service equally. Zionist Union chief Avi Gabbay vowed that his party would vote against a proposed bill which would largely preserve draft deferments for full-time yeshiva students. The bill now under consideration was drawn up by a joint committee of IDF and Defense Ministry officials under the instruction of Defense Minister Avigdor Liberman (Yisrael Beytenu) with the goal of formulating a bill to replace the 2015 amendments to Israel’s draft law which were struck down by the Supreme Court in 2017. Under the law now being promoted by Liberman, the program of draft deferments would be extended, but with the addition of financial sanctions imposed on yeshivas whose student bodies do not meet the government’s induction goals. The bill also provides extra benefits to draftees, increases punishments for draft dodgers, and expands the number of programs in the military designed specifically for the haredi community. The draft bill also requires that haredi draft levels reach at least 85% of the goal set by the government. Failure to reach the minimum number of inductees would result in the termination of the amendment. Since the establishment of the state in 1948, Israel has maintained a near-universal draft, exempting most Israeli Arabs, Druze women, and religious Jewish women. In addition, the state offered a limited number of full-time yeshiva students annual draft deferments. While the deferments initially covered only several hundred students during the Israeli War of Independence in 1948-1949, by the late 1970s the program had been expanded to cover thousands of students. During the government of Menachem Begin, the program was expanded further, offering open-ended deferments, extended on a yearly basis, to an unlimited number of yeshiva students. In 1999, following a ruling by the Supreme Court against the deferment program, the Israeli government established the Tal Committee to draft new legislation allowing the deferments to continue, while encouraging yeshiva students to join the army or the job market. The resulting law, dubbed the Tal Law, was passed in 2002, but was tossed out by the Supreme Court a decade later. Following the court ruling, in 2014 the government passed an alternative draft law, limiting draft deferments to yeshiva students and increasing sanctions on those who avoid service. With the collapse of the government at the end of 2014 and new elections in 2015, however, the next coalition government repealed most of the changes introduced in the 2014 draft law, amending the limitations on deferments. In 2017 the court once again intervened, striking down the 2015 amendments and giving the government one year to pass a replacement law. Since then, Prime Minister Netanyahu’s haredi coalition partners have feuded with Defense Minister Avigdor Liberman’s Yisrael Beytenu party, which has backed measures to encourage haredi enlistment into the IDF. Haredi coalition members threatened to topple the government in March, vowing to block passage of the annual budget if their proposal enshrining draft deferments into Israel’s Basic Law was not passed. The issue was temporarily resolved when Netanyahu brokered an agreement with haredi lawmakers, paving the way for passage of a draft bill during the Knesset’s summer session.